2018. By Linda Eisenhart. A newly published photo history of the iconic New Hampshire roadside attraction nestled in the White Mountains. 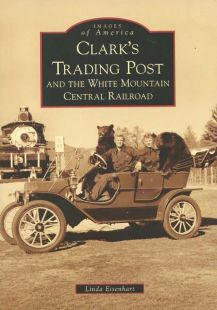 Includes many images of the Clark family, their trained bears, their short line tourist tailroad, and much more. A great nostalgic look back at one the region's most enduring tourist attractions. Softcover. 128 pp.